-- "Part Two: Creating a graduate health and biotechnology research initiative on the St. Elizabeths campus"
-- "Part three: the potential for donations around an expanded program"
A few weeks ago, it was reported ("New DC public hospital will be half as large," Washington Post") that DC intends to rebuild the troubled United Medical Center hospital at a new location in Congress Heights, adjacent to the Metrorail station and as part of the very eastern end of the St. Elizabeths East Campus, which the city has been working on redeveloping for going on ten years. I was saddened by what I read because it appears that the city has a pretty circumscribed view of the opportunity. City Administrator Rashad M. Young said in an interview that plans for a new public hospital are framed around the goal of minimizing the city’s involvement. Although the District will probably own the buildings and equipment used at the new facility, it will hand off most other functions to a private health-care and equipment used at the new facility, Young said. He said city officials hope to announce a private-sector partner in the next few months, but he declined to He said city officials hope to announce a private-sector partner in the next few months, but he declined to name any companies under consideration. For one, it's a bad idea to develop a program without already having your "private sector" partner in place, especially on a project as big and as complicated as a hospital, not just to build, but to operate. Planning for innovation as a part of public projects capital planning. Looking at the proposal, it made me realize that what I call "Transformational Projects Action Planning" ("(Big Hairy) Projects Action Plan(s) as an element of Comprehensive/Master Plans" and "Why can't the "Bilbao Effect" be reproduced? | Bilbao as an example of Transformational Projects Action Planning") has two dimensions. But the other scale is that of the individual project. With the latter, there the idea is if you're spending many millions of dollars, shouldn't you think hard about how to be innovative and leverage the maximum return from the investment. I've written about that a lot in terms of libraries ("Neighborhood libraries as nodes in a neighborhood and city-wide network of cultural assets") but this should be the case for virtually any "public-facing" public investment, be it transit, schools, a hospital, libraries, public space, etc. We should aim to wring out all the possible benefits, sure at the least cost, but we shouldn't put cost and speed in front of reaping the greatest possible social and community return on investment. 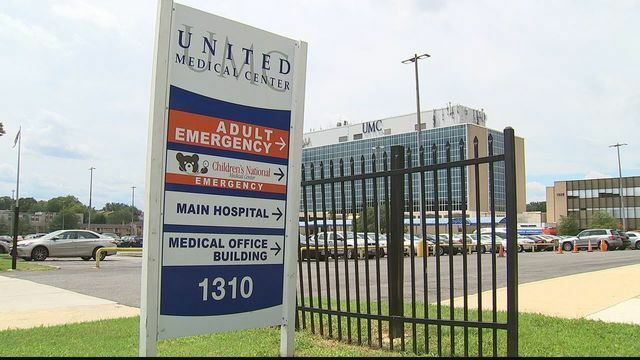 To my way of thinking, the program to rebuild UMC fails to look at how it can be transformative and innovative at the scale of the hospital, the community and the city. Just because it will be new doesn't mean that it will be an example of a transformational project. (3) to broaden the city's economy by developing sectors that are not dependent on the federal government. This piece looks at health and wellness care delivery and the second part addresses "Creating a graduate health education and biotechnology initiative on the St. Elizabeths campus" as an community health and economic development measure. The third part is brief, and discusses the opportunity to garner large donations for facilities in return for naming rights. Health districts as community revitalization tools. There is a lot of talk in the trade about hospitals as redevelopment anchors. That case has been made for the Prince George's Hospital being built near the Largo Metrorail Station ("Prince George's hospital site starts and stops with Metro" Greater Greater Washington). But that's not been my experience. Typically hospitals are behemoths that are internally focused, so it becomes very difficult to harness their activities in ways that strengthen surrounding neighborhoods, except maybe if the hospital has a program that provides mortgage support programs to employees who choose to live in nearby neighborhoods. For example, when doing some commercial district analysis work in some neighborhoods in Pittsburgh, in Northside, Lawrenceville, and Bloomfield--they have hospitals but the hospitals don't have much revitalization impact--not even for lunch time. Most people don't get a lunch break long enough to be able to leave the hospital campus. My lesson was that for direct revitalization benefit, direct connections need to be made. Although the hospitals in Northside and Bloomfield did contribute financially and otherwise to community improvement in significant ways, the impact ends up being more indirect. Similarly, most urban hospitals don't seem to anchor successful revitalization efforts outside their campuses. Sometimes that's because of their non-central location, but typically centrally located hospitals don't do much better on this dimension. Although in Philadelphia, the Frankford Hospital and the University of Pennsylvania Medical Center help to fund business improvement district initiatives in their communities. My lesson is that if hospitals are to anchor general revitalization initiatives, the hospital has to be focused externally, rather than internally, and work in specific ways to interconnect with the community. Rearticulating health and wellness care programming East of the River. 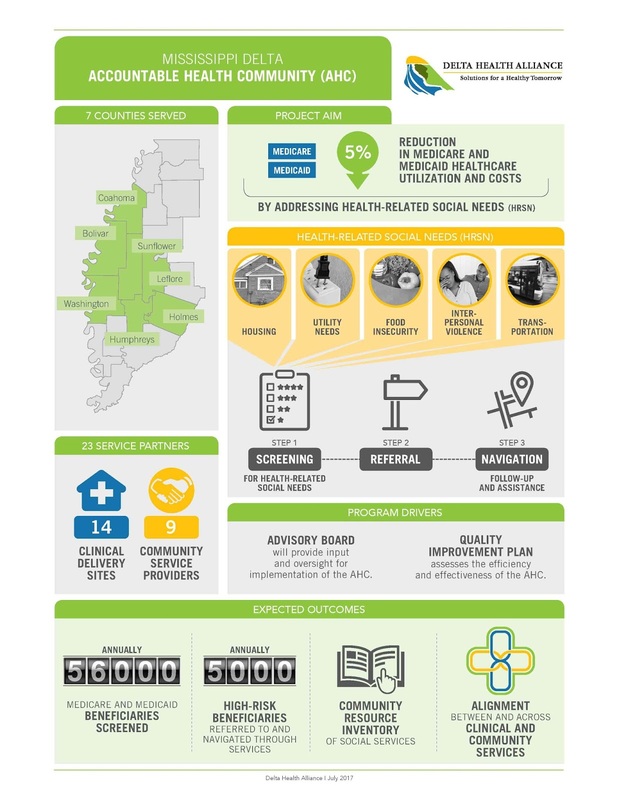 I've written about some best practice programs along these lines in the past, and these are the kinds of programs that ought to be referenced in developing such a program in association with the rebuilding of United Medical Center. The problem is, like coming "late to the party" on Walter Reed which is discussed in a bit more detail in the second article, I don't think there is any place in DC's "planning" for UMC to bring up these issues and re-orient the development program. Although the Washington Informer argues that the city isn't moving fast enough as it is ("Is ‘Sense of Urgency’ Behind Plans for SE Hospital?"). A system of community clinics. DC already has a bevy of community clinics. But they are independent, not a system. A strength of these clinics, called "medical homes," is their independence, but the potential positive impact from knitting these clinics into a network and providing systematic care to people with greater needs is considerable. ... moving more toward how the Bucks County Health Improvement Partnership works, as an integrated system. Denver Health comprises eight community health centers, each equipped with its own pharmacy, and another 13 school-based health centers. Denver Health also runs the city’s 911 emergency medical services system, a non-emergency medical hotline, the Rocky Mountain Poison and Drug Center, and the Rocky Mountain Regional Trauma Center. 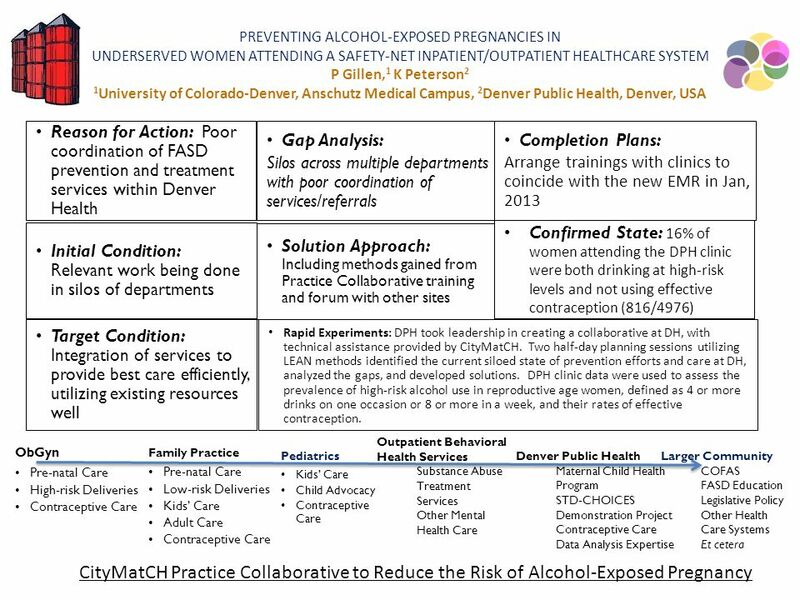 Lesson: using the Denver model, DC could integrate community and school health clinics and UMC into one health network. When now-CEO Guy Medaglia arrived as a consultant in 2007, the 151-bed hospital was losing millions of dollars annually. Medaglia was tasked by its then owner, Ascension Health, with closing or selling it. Instead, he emboldened the hospital's board to break away from the chain in 2009 and become independent. Despite that commercial insurance covers fewer than 1 percent of its patients, St. Anthony has posted operating income nearly every year since. St. Anthony embarked on its turnaround after assessing the needs of its community and tailoring its services to match. It now functions as a de facto community hub, teaching language classes and hosting courses for people studying to take high-school equivalency tests. It also added health services like dialysis and occupational health and expanded its infusion, pediatric and maternal centers. "If you're doing what the community needs, you become very valuable to them," Medaglia said. "And to continue to serve them, you really have to think out of the box. You have to think: What can we do that's different, that can service this community at a lower cost and higher quality?" St. Anthony is pushing forward with plans to build a 1 million-square-foot commercial development at 31st Street and Kedzie Avenue anchored by a 100-bed replacement hospital. The $430 million Focal Point development is slated to be built on 11 acres acquired from the city for $1 by a nonprofit affiliated with St. Anthony. The complex is set to include two schools, retail stores, a child-care center, an indoor recreation facility and an athletic field. Lesson: add community serving facilities beyond the medical functions to make the hospital a community hub. This concept is not unlike the integrated programming model provided by the Ripley Centers of Houston's Neighborhood Centers Inc., which is one of the case studies in the The Metropolitan Revolution book I reviewed a few years ago. Church Health, Memphis. 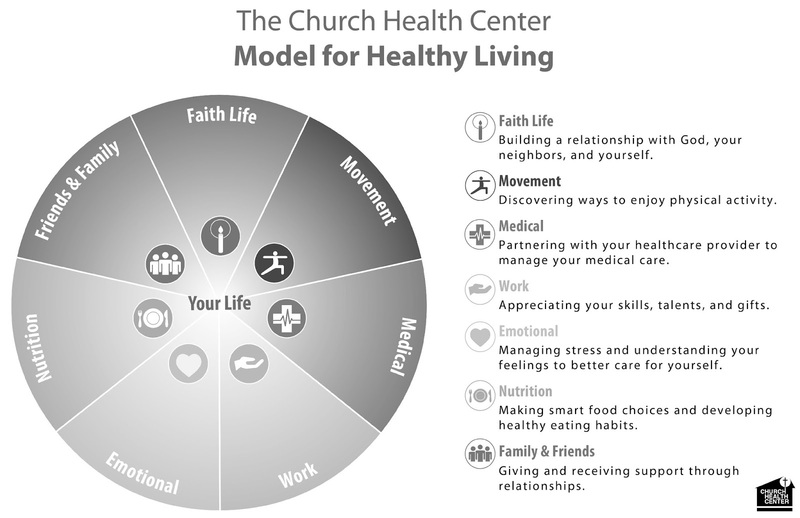 Rather than from a hospital setting like what St. Anthony intends in Chicago, Church Health, an organization founded by churches, provides care to the uninsured in a clinic setting, although they have a comparable and expansive mission. Services include medical, dental ("Church Health dentists improve patients' smiles, life prospects," Memphis Commercial Appeal), eye, family care and pediatrics, behavioral health, physical therapy, and pharmacy. Last year it moved into a consolidated facility of 150,000 s.f. 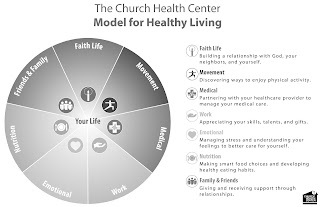 ("Just what Church Health will do with all its Midtown buildings," MCA; "Church Health Center rebrands in preparation for Crosstown Concourse move," Memphis Business Journal; "Holistic Healthcare for Medically Uninsured: The Church Health Center of Memphis," Ethnicity & Disease Journal). Wellness programs, also delivered off-site to local churches, include a 25,000 s.f. YMCA facility ("New Church Health Center YMCA opens in Crosstown," MCA) adjacent to the consolidated clinics at Crosstown Concourse Center in Downtown Memphis, which is the adaptive reuse of a former Sears Department Store and catalog distribution center, and a food and nutrition program ("Church Health's Memphis Teaching Kitchen Promotes Healthy Bodies and Communities," Parade Magazine). People who become very sick, or require surgical procedures, are referred up through a single, multitiered system: from health house to rural health center to district hospital. The integrated nature of the system is what makes it unique. Today, 17,000 health houses serve 23 million rural Iranians. Health disparities between rural and urban Iranians have narrowed; the Iranians have reduced rural infant mortality by 75 percent and lowered the birthrate. Iran’s reforms won praise from the World Health Organization, which has long advocated preventive, primary care. In seven rural and impoverished counties, Mississippi has developed a similar kind of integrated system. This program is rural focused, on patients living in disparate places, often many miles from large health care facilities. It's comparable to marrying community clinics to hospital networks, with a focus on providing home care for chronic conditions. And providing funding for the program, in a state that typically underfunds social and health programs. Lesson: provide an integrated system of health care, with a focus on prevention and chronic conditions, delivered to under-served populations. Providing care is likely to reduce overall costs, since many of these people don't enter the health system until health problems become much more serious. operates on the premise that a third or more of health care spending on frail and chronically ill patients can be eliminated by restructuring the way their care is delivered. As a result, CareMore says the company spends about twice as much as traditional Medicare keeping sick patients from getting sicker, but only half of what the program spends on the sickest patients. As part of their total care program and to assure adherence, they pay for medications without requiring co-pays ("4 things CareMore is doing to improve the Medicare patient experience and why consumerization isn’t one of them," MedCity News) and transportation to appointments, provide fitness programs and gyms within their care centers, and have redesigned the clinics to be more engaging ("Are Friends the Secret to Good Health," Wall Street Journal). 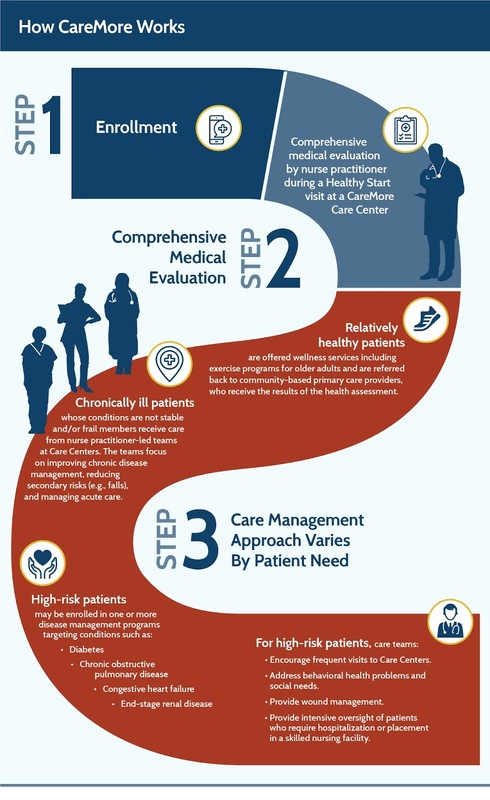 Lesson: commit to filling the gaps in care, access, mobility, etc., that often exist for patients, so that adherence to required medical treatment is maintained and wellness maximized. HealthOnBroadway: El Rio Community Health Center and Tucson Medical Center. HealthOn Tucson is a joint program of the community health program and the city's major medical hospital ("New downtown Tucson health clinic offers a different patient experience," Arizona Daily Star). -- hours beyond office hours. But the facility is more than just a place to drop in for a flu shot, as they have a broader focus on working with the patient over time such as with health coaches, offering free wellness programming, etc. Lesson: develop facilities and programs that respond to the reality of the patients the hospital intends to service and their service expectations. Teaching Kitchen, River Market, Little Rock, Arkansas. Photo by Daman Hoffman. 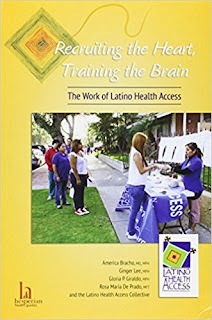 Latino Health Access, Orange County, California. Focused on providing health care to the Latino community, which has traditionally been underserved, the organization focuses on education, prevention and participation, training a cadre--many thousands over the years--of paraprofessionals and volunteers working in and already part of the community, to deliver health education, focused on chronic diseases, such as diabetes. The organization was featured in a four-part HBO documentary “The Weight of the Nation,” on addressing obesity. The organization sponsors an annual health walk, has built a park and community center in an impoverished neighborhood that lacked such facilities ("Residents Bring First-Ever Park to California’s 92701 Zip Code," Salud America! ), and the organizations main clinic has a community room with space for exercise classes, fitness equipment, and space, a "Youth Room," for adolescents. LHA has published a workbook, Recruiting the Heart, Training the Brain: The Work of Latino Health Access, discussing what they do, how they built the organization, and their care model. In the DC area, supermarket chains like Giant and Safeway are offering classes and programming, even if every store doesn't have a full-time dietitian. I have long thought that Eastern Market, DC's public market, if it had a demonstration kitchen, could work with WIC, senior nutrition, and other food assistance and training programs in a similar way. Eskenazi Health Indianapolis: Food programs. Eskenazi Health is a county hospital in Marion County/Indianapolis. When the organization decided to build a new hospital they took the opportunity to rethink their food-related health programs. Food is huge at Eskenazi, the oldest and largest public health care system in Indiana. The system—best known for its Level 1 trauma center, burn unit and community health centers—serves mostly poor and underinsured patients, many of whom have poor eating habits and chronic diseases, from diabetes to heart disease. ... But when the hospital moved its operations in 2013 into a brand-new, $754 million complex, leaders decided it was time to rethink food operations. The first move: Leave the deep fryers behind. Today, all food is cooked on stoves or in huge rows of ovens. Other moves: Drop soda from the menus, offer free fruit-flavored water in retail areas, provide a variety of vegetarian options, and create a huge salad bar, with one low price for the salad, no matter how high it is stacked, rather than charging by weight. Another big decision was to build a 5,000-square-foot farm on the rooftop, where employees and patients can plant and harvest a huge array of produce, including tomatoes, fennel, arugula, spinach, broccoli, squash and blackberries. Last year, the farm harvested nearly two tons of produce. In recent months, Eskenazi has rolled out a wide array of new programs. It hired an overnight kitchen shift to prepare more foods from scratch. It opened a small fresh-food grocery to help patients and guests who live in food deserts. It started a “Fresh Veggie Friday” to highlight produce grown on its 5,000-square-foot rooftop Sky Garden. Lesson: Use food and nutrition programs as a way to redefine the hospital. 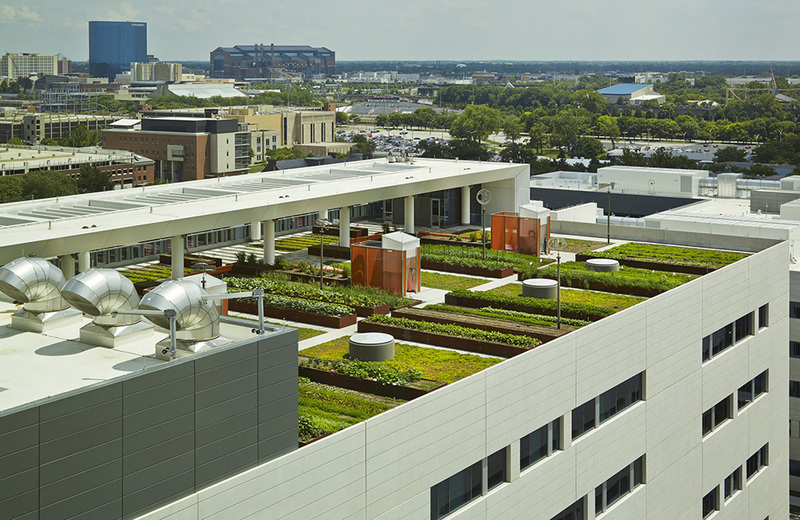 Create a rooftop garden program and open it up to the public. Develop a grocery store or public market type program as part of the facility. The hospital's food service program could be used to seed a food service/culinary education program. Etc. 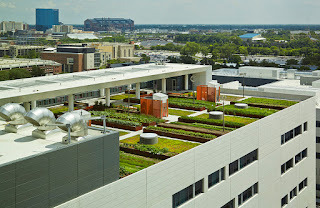 Also see "Growing Places Indy will operate the Sky Farm on the roof of the new Eskenazi Health Hospital," Green Roofs. More thinking about food/supermarkets as an opportunity to integrate with a health center. Besides farmers markets, which many hospitals do, and the innovation of the grocery store on the part of Eskenazi Health in Indianapolis, I've mentioned a bunch of times the concept of using a public market as a way to expand food access options. In "Building a local economy vs. "economic development" in planning: Wizards practice facility," I outlined how the public investment in that facility could be used to anchor food service business development. But actually it would make much more sense out of a community hospital. I am using some of that text and expanding it here. 1. Supporting the development of social entrepreneurship ventures should be considered as an element of the development program for the new hospital. 2. Position the food service within the building as a specific local economic development initiative. This could be done by creating a kind of "pop up" food service operation within the building, with professional oversight and technical assistance, with East of the River entrepreneurs having the first dibs on developing food-related businesses and providing the food services for the building, perhaps anchored by a couple of other existing locally owned food businesses already operating in the city. 3. 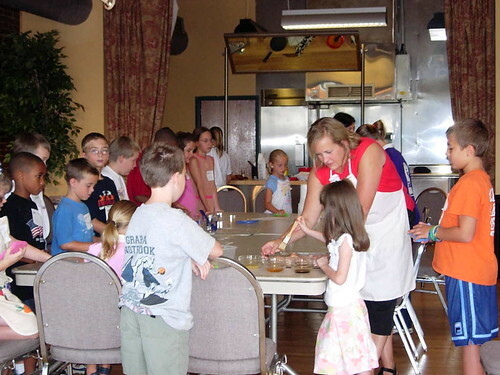 Create a "community kitchen" out of the kitchen/food service facilities for the building. One way to facilitate this would be to set up the back of the house kitchen as a catering type facility designed for 24/7/365 use by local food service business entrepreneurs. That would maximize the economic return from this element of the facility. 4. Integrate restaurants and retail into the community facing side of the building to strengthen commercial activity and placemaking opportunities in the vicinity of the Congress Heights Metrorail Station. The model would be the plan for St. Anthony Hospital in Chicago. 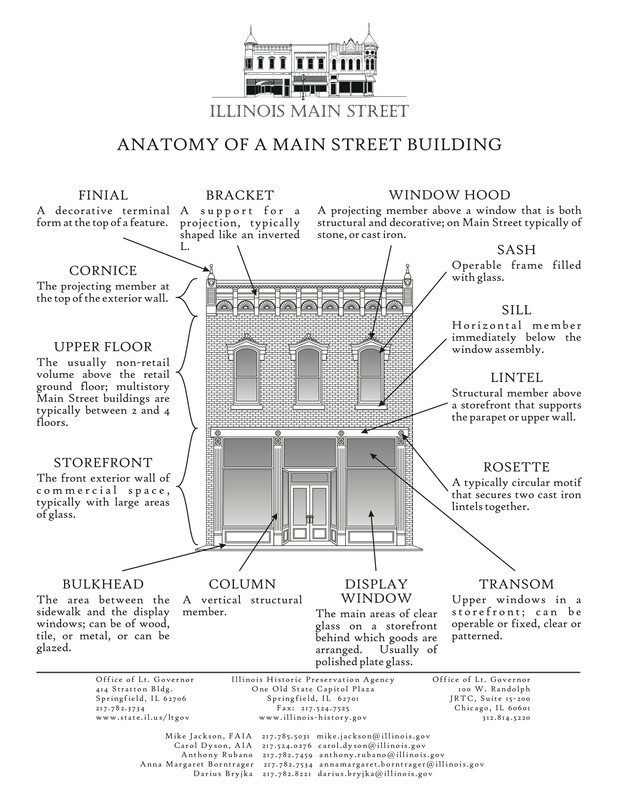 The ground floor elevation/entrance should be designed and configured to include one or two food/restaurant event spaces that would be open 365 days/year, building positive business activity on both sides of the street. The key would be to do this well, not badly, unlike how this has been attempted thus far at the Washington Convention Center. 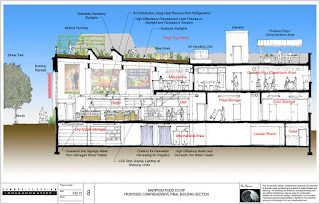 This is suggested for two reasons: (1) to broaden the retail and restaurant offer in Congress Heights/Ward 8 and (2) to enable the creation and maintenance of such businesses when normal economic conditions do not otherwise favor the financing and operation of for profit businesses in such locations. 5. Develop a culinary training program. Examples include DC Central Kitchen, the Nurish project of Kera Carpenter ("NURISH Food & Drink Opens Cafe in Historic Downtown Anacostia"), the Community Kitchen Cafe in Pittsburgh ("Munch goes to Community Kitchen's CK 9th Street Café," Pittsburgh Post-Gazette), or the COLORS training, restaurant, and business cooperative operations in New York City and Detroit (they say they're coming to DC). 6. Develop a healthy grocery store/public market. Good Food Markets, with two stores in DC and one store coming to Seat Pleasant ("Can a nonprofit grocer succeed in a Prince George's city that Safeway left," Washington Post) is one option. 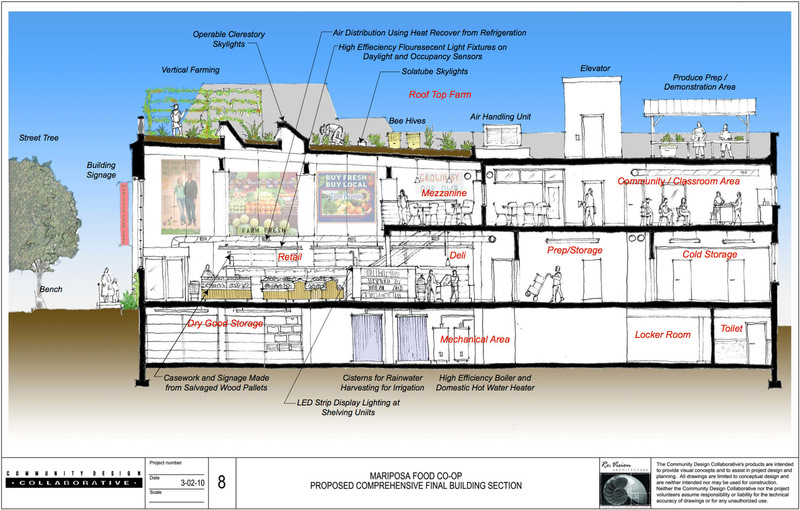 Planning diagram for the new location of the Mariposa Food Cooperative in Philadelphia. Creating a food cooperative is another, and could bring in the National Cooperative Grocer Association and the National Cooperative Bank as partners. As discussed in "The lost opportunity of the Takoma Food Co-op as a transformational driver for the Takoma Junction district," Seattle especially has amazing food cooperatives that are part of mixed use developments. The Mariposa Food Cooperative in Philadelphia serves a middle income community and recently moved and expanded. The Mariposa market offers workshops and community projects, cooking and nutrition classes, has a community meeting space, and a rooftop garden and beekeeping operation. The creation of public market is a third option. Community pharmacy + wellness. An independent pharmacy could be included as part of the retail offer and integrated into the health and wellness program, especially in association with food service and supermarkets. The Aurora Hospital and Clinic system includes pharmacies in many of its hospitals and clinic sites. Separately, it works with the Center for Urban Population Health in Milwaukee "to identify what will make people healthier and create partnerships with community health and academic experts to put those ideas into practice." Aurora has more than 700 clinical research projects underway with 300+ teaching faculty across the system. Like many supermarket chains, Hy-Vee has pharmacies, but they've worked to develop a kind of integrated system that works similarly to the Iran/Mississippi program discussed above, and they way they've done it could be an interesting model to consider as part of this proposed program. Hy-Vee brings to the task an impressive array of health and wellness resources that includes its in-store pharmacies and staffs, a specialty pharmacy operation, in-store health clinics, in-store dietitians, telepharmacies, and nine Hy-Vee Healthy You mobile units that bring health and wellness services to communities throughout the retailer's eight-state region. Aging Canadians, Wilks says, want to keep active, try new things and stay independent for as long as possible — and it’s that spirit that is the foundation of Wellwise. What makes Wellwise unique is that the store includes full-size vignettes where customers can walk through a model bedroom, bathroom, living room and garage to try out new products to see how they can possibly fit into their daily lives. Soon the store will feature an innovation space where people can sample new products yet to hit the market, and it will also include a community room for associations and experts to run educational events. The 12,000-square-foot facility on the second floor of the concourse features 24 dental chairs ... Hodge, dental director for Church Health, oversees a staff of four full-time dentists and 22 dental hygienists, assistants and residents. Several pro-bono providers also volunteer their services. The amount that patients pay — generally 25-50 percent of the cost of services — is determined by a sliding scale based on such factors as income and family size. To use the services, residents must either be established Church Health medical patients or participate in the organization's affordable care plan for small businesses and self-employed people. The dental program is about more than just fixing teeth. By improving smiles and correcting dental health problems, Church Health is boosting patients' confidence, and therefore their job opportunities and personal prospects, Hodge says. Public health outreach in DC. 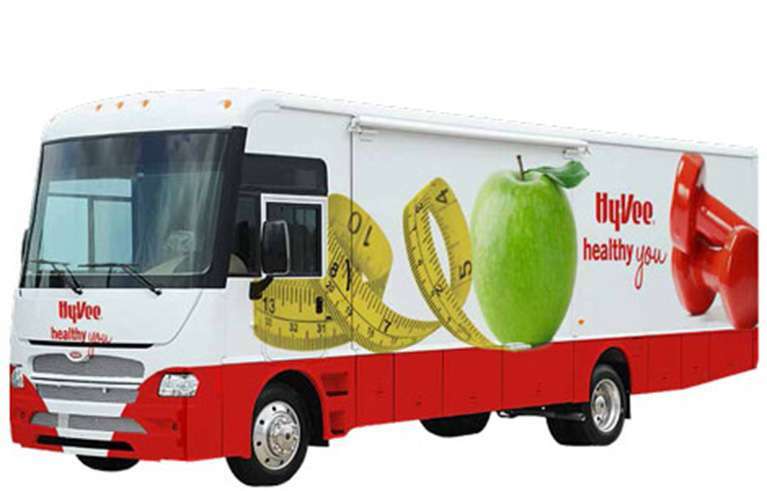 In terms of similar kinds of outreach programs comparable to some of the programs discussed above, DC's Department of Health sponsors various mobile health unit based programs and nutrition outreach programs. In the summer, the DC police department, working with other agencies, sponsors community information fairs in neighborhoods across the city which include the participation of various health-focused organizations and agencies. Launched in the Spring of 2015 by Mayor Muriel Bowser, FitDC is a comprehensive health and wellness initiative that encourages residents to live a healthier lifestyle by linking them to nutrition and physical fitness resources in their communities. FitDC will offer "Ward Walk" events, various challenges for District residents and official FitDC Coaches, who will offer guidance on making healthy lifestyle choices. While it doesn't get much publicity these days, clicking on the FitDC tab of the DPR Events page finds that a wide array of programming is offered across the city at recreation centers and other venues. 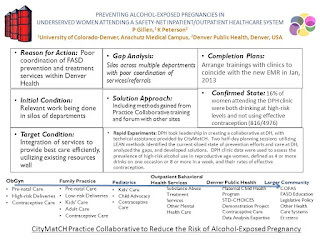 Like the Denver system of integrated hospital, clinic, and other health facilities, it occurs to me that city public health outreach programs, along with community clinics, and a new United Medical Center could be linked together as an integrated community health system. Conclusion. These examples, and I am sure there are many others, these are merely the ones that have caught my attention over the years, demonstrate that there is a way to use the transformational projects action planning lens generally and specifically for United Medical Center in Southeast Washington, as a way to redefine a hospital serving a largely impoverished population by integrating into it community health promotion and economic development initiatives that are programmatically stunning and innovative. It will be a tragedy if DC does not avail itself of this opportunity, as it goes forward with planning, constructing, and operating a new Southeast DC hospital, either on its own or with other health care partners. A program along the lines of these examples makes revitalization spillover benefits more possible than the more typical "we're building it and that will lead to trickle down improvement" approach. Direct and specific is best. Indirect and trickle down is not. It occurred to me after writing this, that the various DOH outreach programs could be merged into this effort, and integrated. 2. A piece in yesterday's Post said that 80% of stroke deaths (140K/year) can be warded off through not smoking, changes in diet and exercise, etc. Miami's did a public bond, with the argument they needed to invest in improvements to be competitive with other private and nonprofit hospitals. To become a hospital of choice rather than one of last resort. Aim to draw in more insured patients to help defray the cost of serving the uninsured. I forgot to mention this NYT Magazine piece about the disparities in birth-related deaths in the US between blacks and other races. Pretty damning. Bon Secours Baltimore Health System in West Baltimore has a big neighborhood revitalization effort. Their programs include the construction and operation of affordable housing. Almost 800 units. The Salt Lake _County_ Library system (separate from the SL City library system) runs a library "reading room" in the South Main Public Health Clinic, which serves a predominately low income population. A big element of the service is providing free books to children. 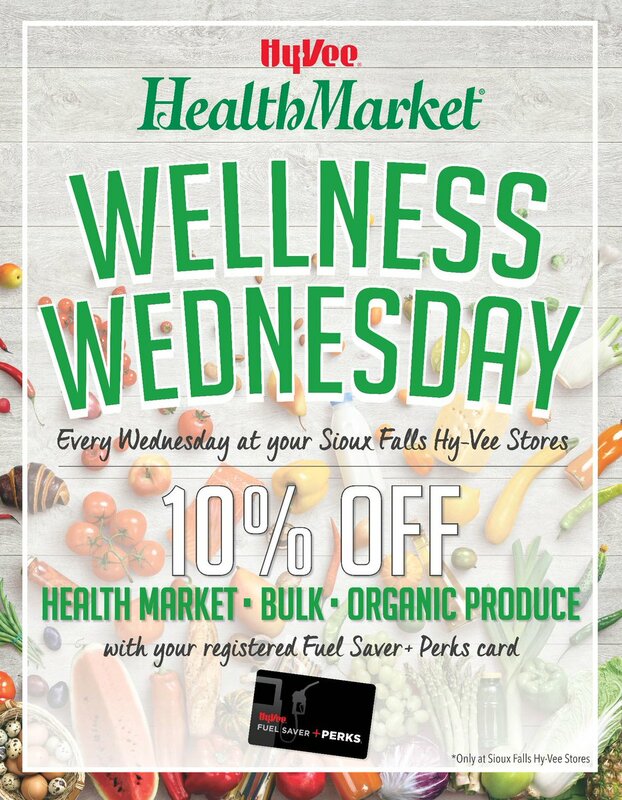 Hyvee has created a stand alone "HealthMarket" with some specific features for seniors. "The new format, a stand-alone version of the retailer’s HealthMarket store-within-a-store concept, is geared toward consumers focused on a healthy lifestyle and features more than 11,000 items." 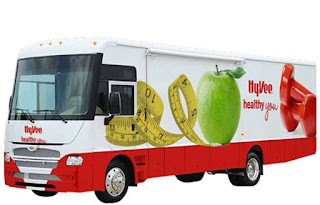 ... "also serves up an array of health-related amenities, led by a full-service pharmacy and a health clinic but also including a hearing aid center (offering free hearing tests) and a sports nutrition area. 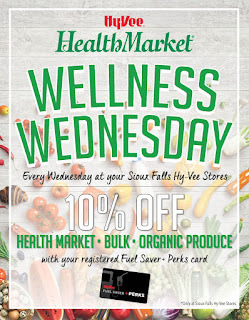 Along with Hy-Vee Aisles online grocery shopping and pickup, the Hy-Vee HealthMarket houses a hydration station with nitro coffee, kombucha and Bevi infused waters, and a nearly 3,000-square-foot Orangetheory Fitness center is attached to the store. Also featured is the retailer’s Basin beauty care brand, which specializes in all-natural bath and body products." As part of medical school programming, Columbia University has opened the "Community Wellness Center" in Upper Manhattan which provides health services, and some free services, and also "trains residents of Harlem and the surrounding area to serve as community health advocates." But outside of certain screenings, like for blood pressure and cholesterol, they don't provide medical services. 1. "Southern diet blamed for Black Male health woes"
2. Millennials prefer urgent care treatment over having a regular relationship with a doctor. "Spurred By Convenience, Millennials Often Spurn The ‘Family Doctor’ Model"
- ProMedica system in Toledo has the "social determinants of health institute" and they do provide food security support, and have even opened up a small grocer in a food desert, called "Market on the Green." - Am Hospital Assn. published a report on food security and health. - Northwell Health in New York State has a food pantry and will give patients a couple days worth of food. - St. Joseph Mercy Hospital in Washtenaw County, Michigan grows food on its campus (25 acres) and has a farmers market on Wednesdays. Patients can get a "prescription" good for $10 of produce free. diabetes, cardiovascular disease, hypertension, asthma and behavioral health. More on Shoprite, an early leader in having dietitians on staff. Porter Medical Center in VT, "Farmacy Project," free produce to some of their patients. United Health Care providing free Apple Watch to people meeting certain fitness goals. This article from the Augusta GA Chronicle on the Children's Hospital there discusses the many innovations introduced by the hospital, such as 24-hour visitation, which has now been adopted by many health care institutions, such as Holy Cross Hospital in Montgomery County, Maryland. But the hospital’s most important “architects” were the patients and families who would use it. The late Pat Sodomka, then associate hospital director, consulted with the Bethesda, Md.-based Institute for Family-Centered Care to find ways to break traditional hospital norms – such as strict visitation hours – that distanced patients and their families from care providers. Sodomka, Moretz and a large list of physicians and administrators successfully lobbied to implement the hospital’s oft-duplicated innovations, such as 24-hour visitation and the large, private rooms equipped with trundle beds and couches enabling parents to sleep at their child’s bedside. - "Hospitals make ERs nicer, safer for the elderly"
- "You're getting older, Is it time to get medical care from a geriatrician?" Demographically, likely East of the River is likely to have a preponderance of older residents, and providing focused health care services taking aging into account makes sense. Chain Drug Review, 11/19/2018, p. 48 has an article "Rx Services go beyond dispensing" which discusses various ways a pharmacist/drug store can provide added value services, especially wrt management of chronic conditions. With a $52 million expansion project that kicks off April 1, the Brigham will become the latest Massachusetts hospital to significantly enlarge and redesign its emergency department amid what leaders describe as unrelenting crowding. Emergency medicine doctors said they need more space because the patients today require more intensive care, including those with mental illness and drug addiction, or who are suffering the toxic side effects of cancer treatment. These patients need more time, more tests, more attention. Bronson Methodist Hospital in Downtown Kalamazoo has an outpatient pharmacy and they've combined it with their gift shop which they've made over into a fresh food "convenience" store. While open to the public, it's likely that most of the customers are staff. However, the downtown area doesn't have a grocery, so it may be able to serve some of those needs. They don't sell prepared foods because of the on-site cafeteria, but I could see it being successful with "meal kits" targeting time-pressed staff. 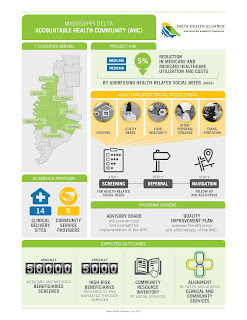 The ProMedica health system in Toledo (1) created the Ebeid Institute for Population Health as a way to serve underserved communities and (2) on the ground floor of the building created a 65000 s.f. "Market on the Green" nonprofit supermarket. A hospital nutritionist does programming, cooking glasses and store tours. The workforce development program of Ebeid is integrated with the staffing program for the supermarket. (3) there is a Financial Opportunity Center program too, GED classes, etc. Basics Market in Portland is "chef-driven store" Classes on knife skills, nutritionist, classes. 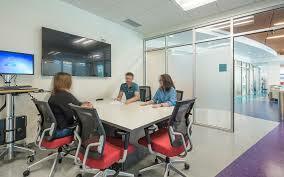 Discovery classroom. 8 meals featured throughout the store at "meal stations." patient navigator, addiction treatment, Unity Health Care clinics, on site pharmacy, classrooms for Center for Employment (medical assistants, building trades including HVAC). affordable housing units, 152 single adult units, 30 apartments for family. Includes case management. After school program for children. Interesting ladder of programming to develop youth self-knowledge about health issues.